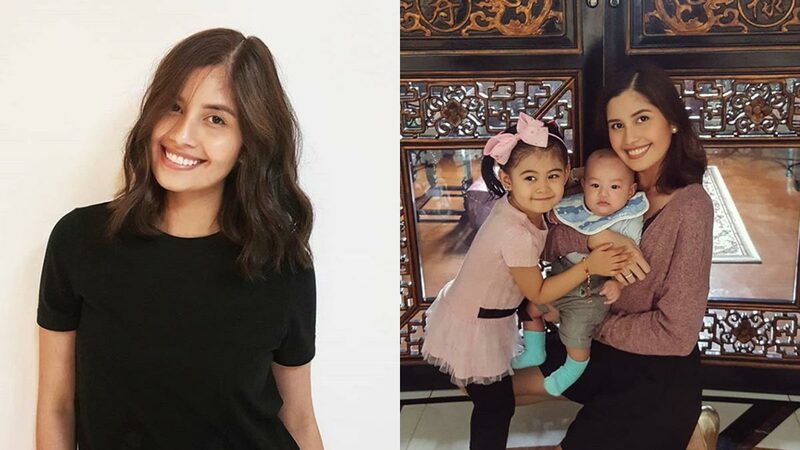 Shamcey Supsup finds a way to make sure her two kids, Nyke and Nathan, both feel the same amount of love and attention. Shamcey Supsup never thought she would become a mom to two kids. "Before I thought I was just going to have one baby, but siyempre I have two now. It's all worth it," the beauty queen told PEP.ph (Philippine Entertainment Portal). "I never thought I'd be able to really, like, add more happiness in my life. When the new baby came, talagang iba yung saya din sa family." Shamcey and her husband Lloyd Lee welcomed their second child, Peter Nathan, on September 30, 2018. What was the hardest part about becoming a mom of two? The Miss Universe 2011 third runner-up answered, "Siguro the hardest part lang of adding a new member of the family, siyempre yung may konting selos dun sa first baby." Her three-year-old daughter Nyke has started getting jealous of her baby brother. And to help the little girl overcome that feeling, the former beauty queen makes sure that she spends more time with her daughter. She continued, "Kapag kasama ko silang dalawa, I give more attention to my eldest kasi siyempre siya pa yung nakakaalala, e.
"Siya pa yung parang, kumbaga, yung baby hindi pa naman nakaka-feel ng selos or anything. So, I give attention to the eldest para hindi naman niya nafi-feel na she's being left out. "And pag may bonding kami with baby, sinasama ko siya parati para ma-feel na she's part of it." Good thing, Nyke likes being an ate to Baby Nathan. "She likes to take care of the baby, so yun naman yung masaya. "At least, parang nagkaroon siya ng responsibility agad na parang, 'Oh, I have to take care of my brother.'" PEP.ph interviewed Shamcey after the Panasonic Fashion Festival last April 4 at EDSA Shangri-La Hotel, Mandaluyong City. For Shamcey, motherhood felt much easier when she had her second child. She said, "Ewan ko lang, ha, it's not for everyone. But for me, I felt that the second baby was easier? The birth, taking care of the baby, kasi nga, yung first kasi medyo you don't know what to expect, e.
"Pero sa second, at least you know—mas hindi na ako paranoid. Mas may experience na kumbaga. I don't know, mas madali for me yung second one." Will Shamcey and husband Lloyd add more kids to the family? "For now, huwag muna. We're happy kasi it's a boy and a girl, so no pressure. But we're not saying no, pero for now, we're happy as is."